When we talk about “Brands” we tend to think about the famous names – Coca-Cola, Apple, Rolex. But even the smallest business has a brand – even if many of them are unaware of it! So, in essence, a brand is all about perception. Your brand is not just your logo – it’s about everything the customer – or potential customer – sees, and everything you do. It’s about how your website looks, how you answer emails, what you wear to meet potential clients, what you say on social media. 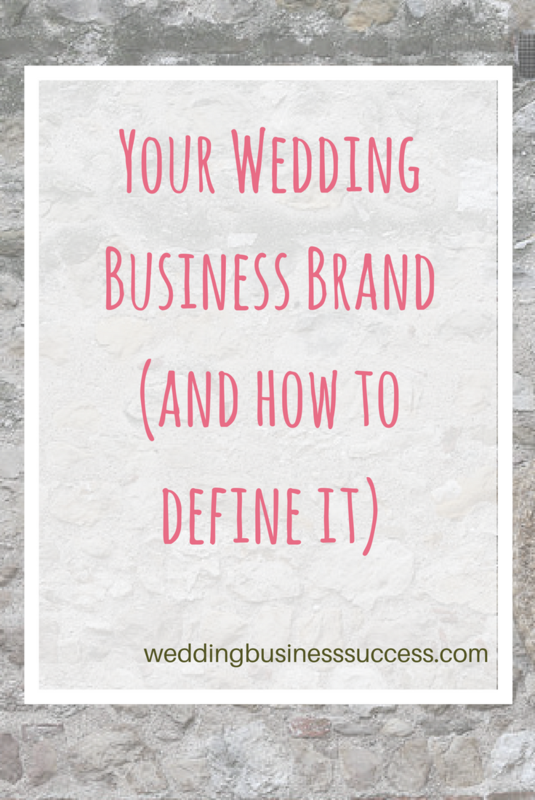 How relevant is “brand” for wedding businesses? For any small business, their brand is important, but not quite in the same way as for a large corporate. Remember, you are not Coca-Cola and you don’t need to spend a fortune on brand identity and raising brand awareness. But whatever your business size, people will form views of what you stand for and you want these to be the right ones. You want to present a consistent message and make sure everything you do reflects that message. Take your website, for example. If you want to work with high value brides then you need a fabulous looking website, not a free DIY site that’s a bit wonky because you can’t get it to work properly. If you specialize in vintage shabby chic style, don’t have a plain website in boring corporate blue – choose colours which fit that style. You also need every contact you make reflect your marketing messages. So if you advertise yourself as professional don’t answer the phone with a screaming toddler and a barking dog in attendance. Think about the emotions you are going to tap into – the things you want your customers to feel. How can you describe your business in a way that evokes those feelings? Think words like “reliable” if you want your clients to feel they are in safe hands with their wedding plans. Or “innovative” if your clients want to feel they are doing something different. Do you represent a particular style in your work? Is it classic, trendy, vintage, elegant? Then there’s your business personality. If your business was a person how would you describe it? Down to earth? Efficient? fun-loving? quirky? Start by brainstorming all the words you can think of which are relevant to your business, making sure you cover the 4 areas above. Then whittle the list down to your best five that sum up your brand. Now you’ve found the words that define your brand, you need to apply them across your business. Use them in your brochure, on your website, in your emails. Choose colours which fit in with them. Hot pink won’t work if your brand is about luxury, romance and elegance. It will, if you want to be seen as fun, exciting and modern. Remember to apply your brand to your actions and behaviour too. Starting your emails with “Hey” won’t work if your brand values are traditional. If you want to be seen as fun and quirky don’t turn up to client meetings in a black suit. 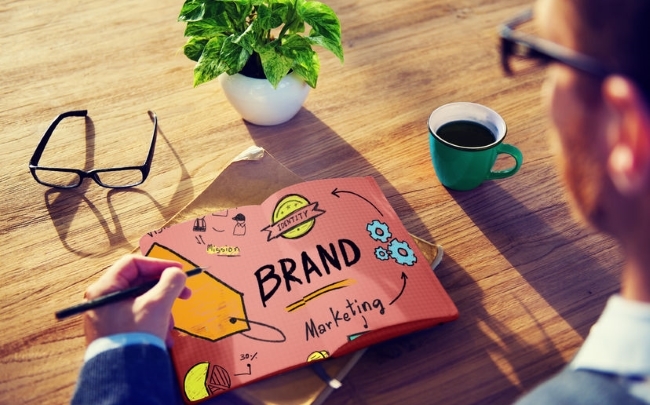 By taking these steps you’ll be in control of your brand – and not leaving it to chance.